Forget about elaborate costumes, stunning set pieces and the fantastical realm of the fairies. 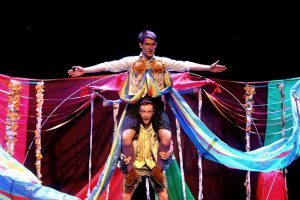 The HandleBards prove all that you need to stage a spectacular Shakesperean comedy is high-octane energy and utter playfulness! 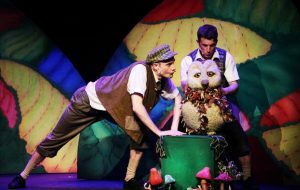 The Owl Who Was Afraid of the Dark is a reassuring tale targeted at children between three and seven years old, and brought to life with an irresistible blend of live music, puppetry and storytelling. 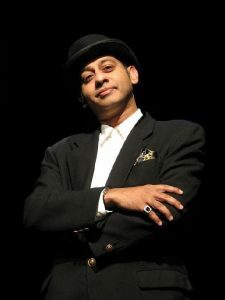 Perera’s 100-minute comedy show comprises two parts: A musical called A Vinyl Invasion, and his comedy satire Malaysia’s Got Scandal. It will see him playing many Malaysian-inspired characters such as Elvis Tan, Y.B. Wan Bedek Wan Temberang, Saudara Kam Mun Ting and Guitar Joe. 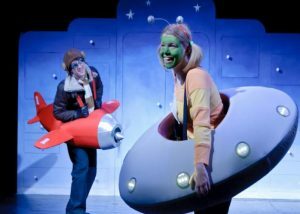 Children’s theatre has become more popular in recent years and production company Gardner and Wife has been most active in bringing these shows here. 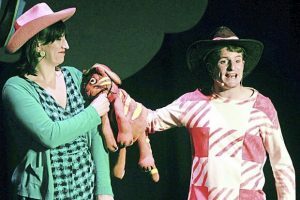 You can expect lots of laughter at the staging of Don’t Let The Pigeon Drive The Bus by Britain-based theatre company Big Wooden Horse. 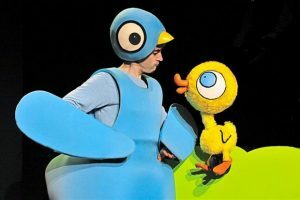 This lively show is based on a children’s picture book by award-winning author Mo Willems. It’s hard to tell your inner child to hush when watching Stuck on stage. You’ll find yourself grinning from ear to ear with a great urge to prove how well you can shout numbers out. 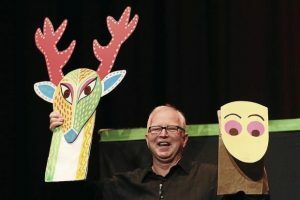 Peppered with funny dialogue, and punctuated with the cheeky antics of Aesop’s yellow puppet dog, Moral, the show moves forward against the pleasant sounds of classical composers Scarlatti, Beethoven and Chopin. Stay up-to-date with new shows, upcoming classes, events and promotions!